In a few weeks, I’ll be teaching a class at the Whistle Stop Quilt shop. The owner is interested in having someone teach some classes on how to make bags, so I went in and talked with her. 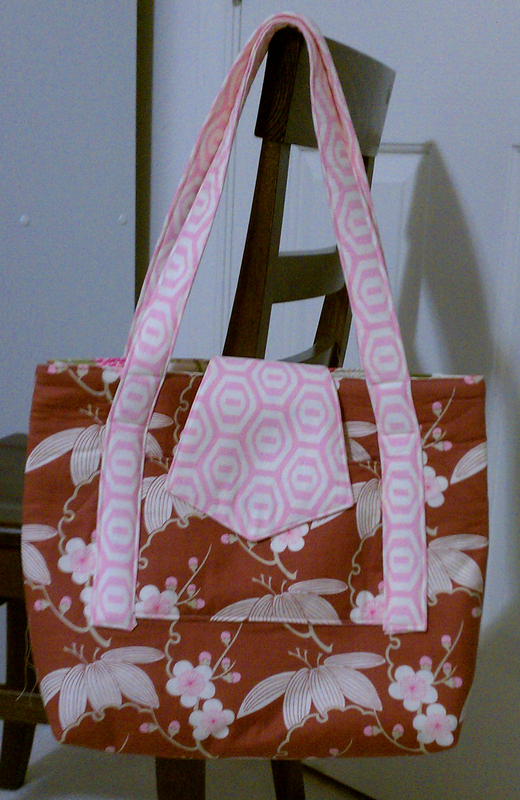 While I was there, she showed me this cute new pattern by Anything But Boring called “The Traveler’s Tote.” We both agreed this would make an excellent class for me to teach :). A sample was needed to promote the class, so yesterday and today was spent making it. 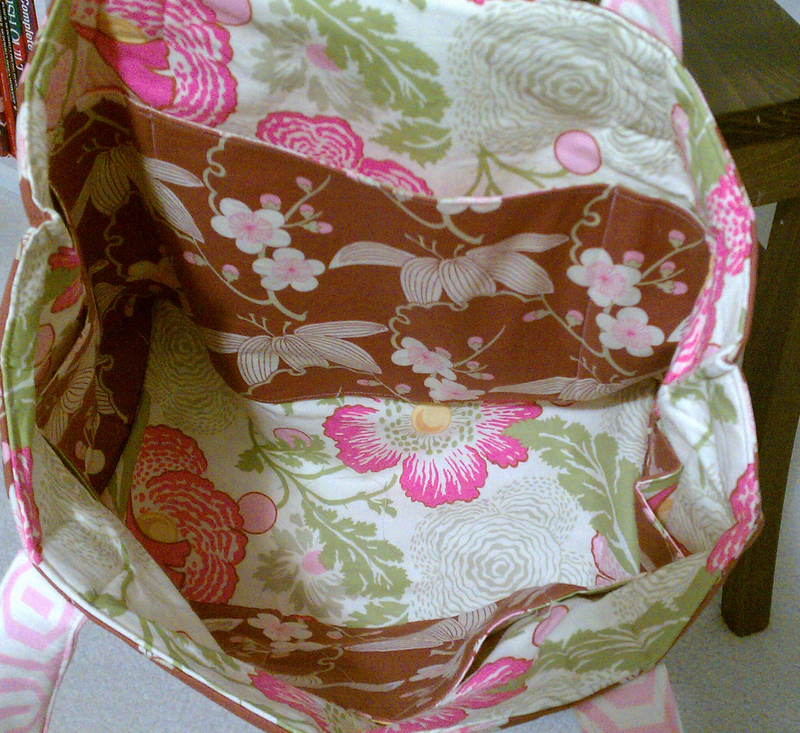 This tote is very sturdy because fusible fleece is used on the exterior and Decor Bond is used on the lining. The large flap is a great way to show off a favorite piece of fabric or focus fabric. It has tons of pockets (you can never have enough) – two on the outside and pockets all the way around the inside. I was only one seam away from being finished,when I realized the lining pockets were wrong. Instead of the pockets opening at the top, they opened to the bottom – not very useful at all! I had to rip out the sides and bottom of the lining in order to get to the mistake and fix it. When I realized the mistake, I gasped and said “Oh no!”. My five year old said, “What’s wrong Mommy? Did you sew your thumb?”. He was glad to see I was okay! That detour took about an hour, but I was really happy with the end result. Be careful when you sew. Keep it thimble! Remember your father’s plan for your grandpa when he was around machinery. Keep a first aid kit handy. Glad you didn’t sew your thumb. The tote is really cute. Wonderful and lovely fabric choices!!!! Well, done!! !